Activision has announced that Crash Bandicoot N. Sane Trilogy will release earlier than planned on Nintendo Switch. Everyone’s favourite marsupial will now make an appearance on the portable home console next month, rather than in July as previously scheduled. “Crash Bandicoot has been working hard to look good for his debut on new platforms. The fan reaction to the news that he’s coming to Xbox One, Nintendo Switch and PC via Steam was the extra push needed and now he’s ready nearly two weeks early!” Activision explained. 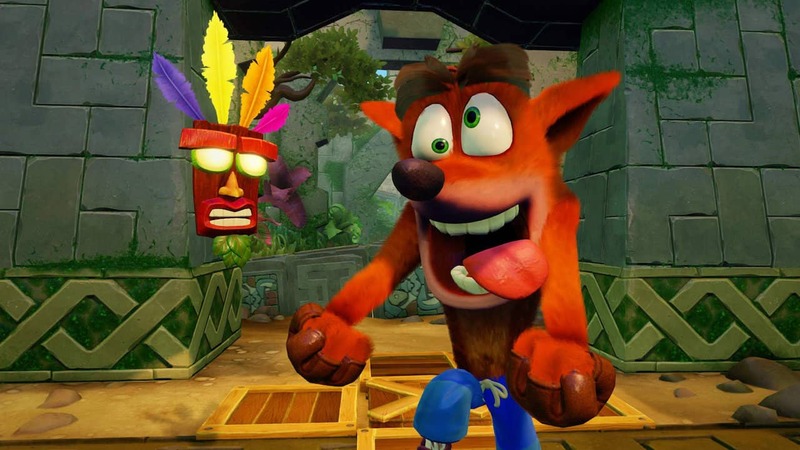 The Crash Bandicoot N. Sane Trilogy includes remastered versions of the first three Crash Bandicoot games – Crash Bandicoot, Crash Bandicoot 2: Cortex Strikes Back, and Crash Bandicoot Warped – that will see you spin, jump, wump, and repeat as you take on their epic challenges and adventures. Crash Bandicoot N. Sane Trilogy will release for Nintendo Switch worldwide on June 29th.